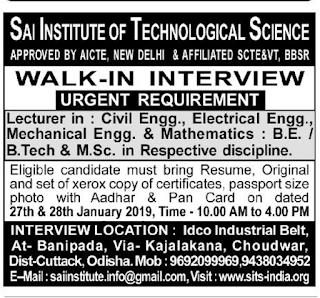 Sai Institute of Technological Science,Cuttack,Odisha has advertised for the recruitment of Teaching Faculty- Lecturer,Technical Assist jobs vacancies. 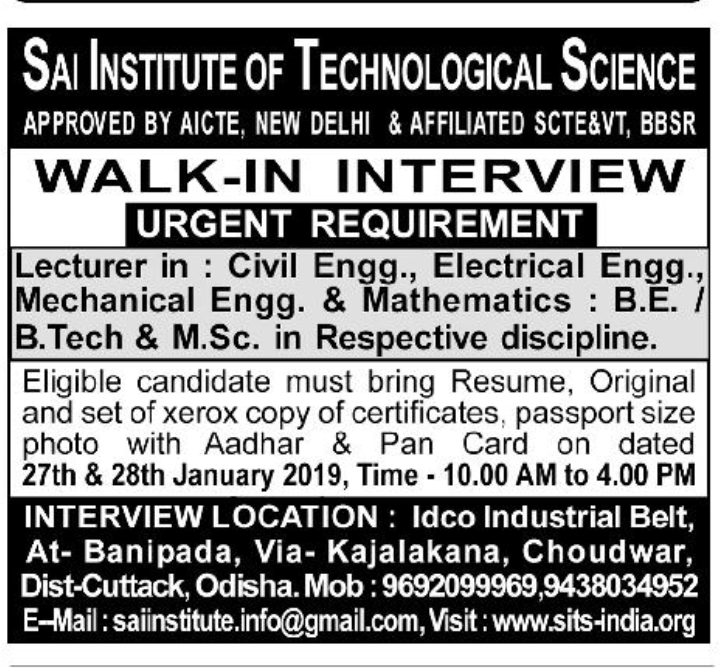 Interested and eligible job aspirants are requested to attend interview on 27&28th January 2019. Check out further more details below. 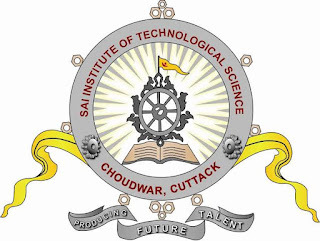 Name of the College: Sai Institute of Technological Science, Cuttack,Odisha. Venue:Idco Industrial belt,At-Bhanipada,via kajalakana, choudwar.cuttack,odisha.